Guardian Angel Morael – also called Moriel. Firstly, his name means “God Teaches”. And he is the divine governor of the so called Month Of Elul. Which contains August and September. 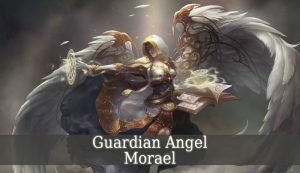 Guardian Angel Morael is the divine angel of fear and awe. Therefore, he brings awe for God and his power into our lives. He teaches us to love, venerate and worship God and his creations (just like Rahmiel and Archangel Chamuel). Morael fills us with a deep respect for every creation of the divine, Including ourselves. But Morael is also the angel of fear. Therefore, he helps us to deal with our fears. He cures anxiety and fright. He takes away our worries and fears and inspires us to be more courageous and to believe in God. With the guidance of this beautiful angel we will never be terrified and scared of difficult situations. Pray for his divine help when you are in a dangerous situation. Morael is also one of the angels of the wind. 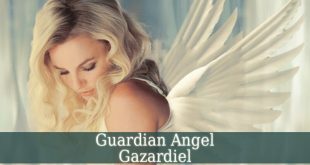 Therefore, Guardian Angel Morael is a great ally in guarding against storms, hurricanes, monsoons, tornados and typhoons. Pray for his divine presence in these unfortunate situations. And he will guide you and your loved ones through the devastation. Enoch in 3 Enoch describes Guardian Angel Morael as one of the 4 Angels of the Wind. The other 3 angels of the wind are: Ruhiel, Rujiel, Ben Nez and Ephemerae. Jewish lore describe Morael as the angel of fear. The same source describes him as the ruler of the month of Elul, which I explained above. The Book of Black Magic and of Pacts describe the angel’s powers. It mentions Morael as the angel who can make anything invisible. The book also include a reproduction of the angel’s sigil. Which you can use in rituals, invocation and ceremonies.